Joseph Martin Napoleon Carlson was born in Pa. on Nov. 6, 1899. In 1918 he entered into the Minor Leagues under the name Joe Martin. In 1925, at the age of 25, he broke into the Big Leaugues as an outfielder with the Chicago Cubs, & took on the name Joseph Munson. Joseph "Munson" Carlson died on February 24, 1991 in Drexel Hill, Pa.
Joe Munson Statistics Joseph Martin Napoleon Carlson was born on November 6, 1899. A native of Renovo, PA he attended Lehigh University. He was an outfielder whose performance in the Eastern League gained him a spot on the Chicago Cubs roster in 1925 (9 games) and 1926 (33 games.) A left-handed batter, he threw right. 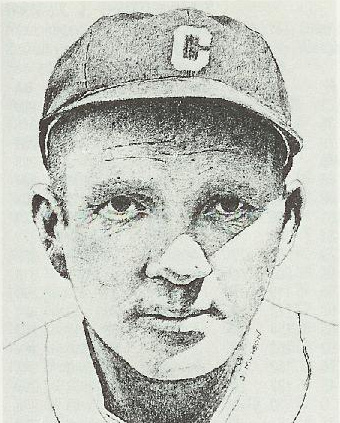 On June 7, 1926 he was traded with Maurice “Red” Shannon and cash to the Cleveland Indians for outfielder Riggs Stephenson and infielder Hand Schreiber. After that trade, Carlson never played another big-league game. While with Tulsa, OK he hit .383 (1927) a Western League leading .385 (1928) and .369 (1929). He retired after the 1932 season with a .335 lifetime average in the minor leagues with 2,050 hits. During his career Joseph Carlson was known both as Joe Martin and Joe Munson. He was buried under his birth name Joseph Martin Napoleon Carlson.